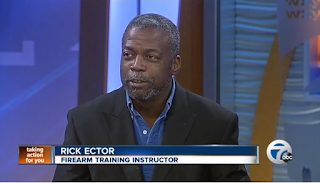 Several years ago, Rick Ector debated Rev. Wendell Anthony on a news program about the governor's veto of a gun bill. SB-59 was not a perfect bill but many in the gun rights community supported it as a step in the right direction. The governor veto'd it and this video discussed it.